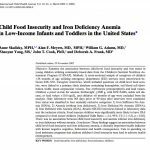 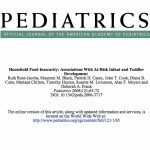 Controlling for established correlates of child development, 4- to 36-month-old children from low-income households with food insecurity are more likely than those from low-income households with food security to be at developmental risk. 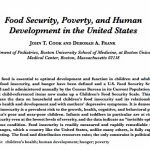 Public policies that ameliorate household food insecurity also may improve early child development and later school readiness. 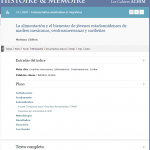 La allmentacion y el bienstar de los ciudadanos estadounidenses mas jovenes de madres mexicanas centroamericanas, y caribenas. 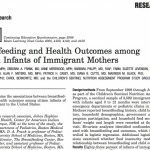 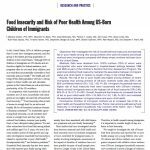 This study investigated the relationship between participation in federal food assistance programs and maternal and child welfare in the homes of immigrants from the Americas. 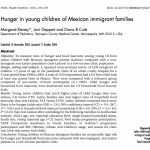 The comfort level was measured by indicators of home and child food insecurity, child health, maternal depression and child development. 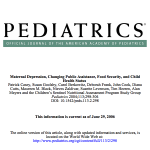 http://childrenshealthwatch.org/wp-content/uploads/screenshotart2.png 877 729 admin http://childrenshealthwatch.org/wp-content/uploads/CHW-logo-anniversary-web.png admin2007-01-01 00:00:002017-04-04 15:08:29La allmentacion y el bienstar de los ciudadanos estadounidenses mas jovenes de madres mexicanas centroamericanas, y caribenas.